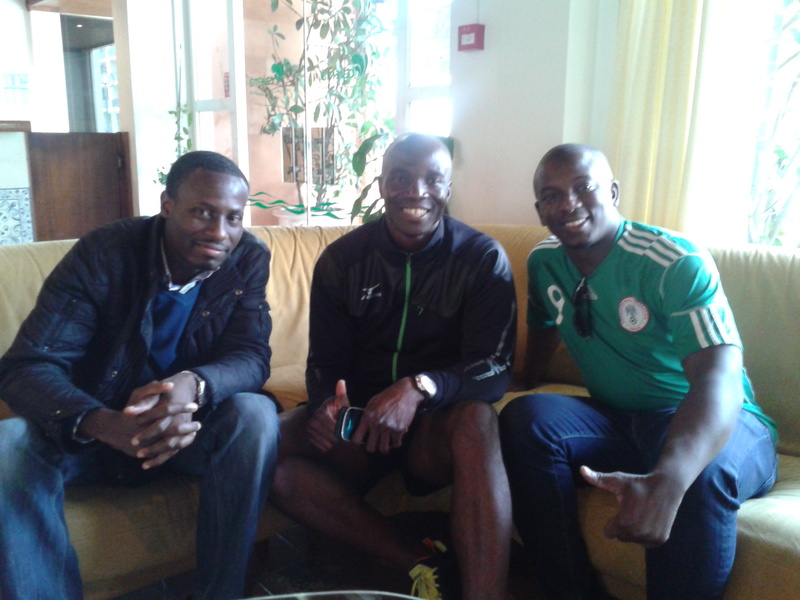 Meeting Francis Obikwelu – In Portugal! One of the most memorable trips we have made so far for Making of Champions was our trip to Portugal to meet Nigeria’s 200m record holder and Europe’s 100m record holder, Portugal’s 100m Olympic Silver Medallist, Francis Obikwelu! Here’s a short clip from my trip, where he talks about how Lagos, Nigeria got its name from Lagos, Portugal, among other things! How does one man hold sprint records both in Nigeria and Europe I hear you ask? Well, Francis has a very unique story that I was very keen to capture on camera – keen enough to travel all the way to Faro in the South of Portugal for a day just to meet him, while he was training with the Portuguese National Team! Basically, Francis represented his motherland Nigeria until 2001, when he made the switch to his adopted motherland Portugal. Before his switch to Portugal, Francis had already enjoyed quite a measure of success in Nigerian colours – he won a World Championship bronze medal in the 200m in Seville in 1999, where he also set the Nigerian 200m record of 19.84s which stands untouched until today. To date he is the only Nigerian ever to run sub-20 seconds in the 200m! He was also a member of the 4x100m relay team that still holds the Nigerian record of 37.91s in that event as well! 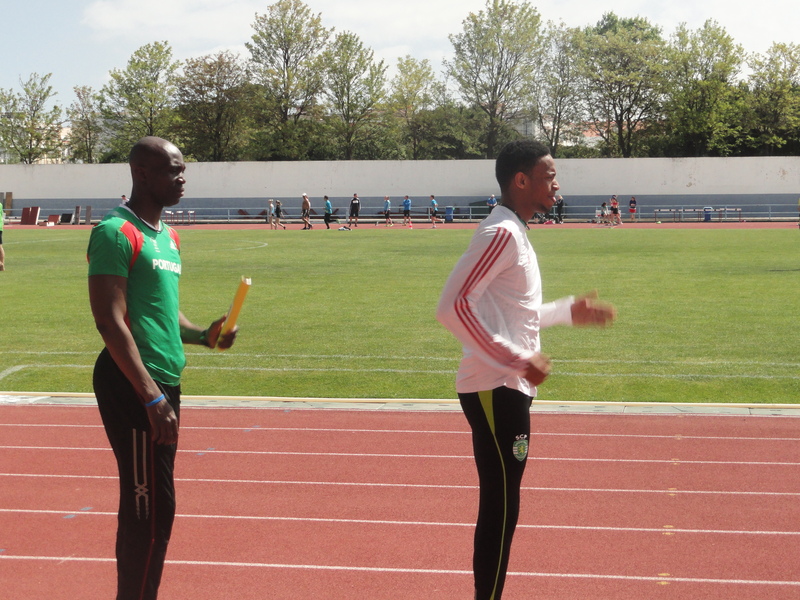 See Francis’ semi-final run in Seville that gave him the Nigerian 200m record in 1999! The circumstances that led to Francis deciding to switch nationality were rather unfortunate for him, sad for Nigeria, but completely fortuitous for Portugal. Francis got injured competing in the line of duty for Nigeria at the Sydney 2000 Olympics. He had to go for knee surgery in Canada where he was abandoned by his national association to pay for his surgery all by himself. To make matters worse, he suffered complications in hospital – a blood clot from which he almost died, leaving him hospitalized for 2 months following the surgery…. To cut the long story short (and I will leave the remaining details for the documentary when it is released), following his discharge from hospital, once it was still clear that he wasn’t going to get the support he needed from Nigeria, he went back ‘home’ to Portugal (where he had already been living for up to 6 years prior to his injury), completed his naturalisation, and made the switch to compete for them in 2001. The rest, as they say is history – at the Athens 2004 Olympics, he won what many would have considered a surprised silver medal in the 100m, beating the likes of Maurice Greene, Shawn Crawford and Asafa Powell to 3rd, 4th and 5th respectively, and in the process setting the European 100m record of 9.86s which stands until today! On that fateful day, only America’s Justin Gatlin got the better of him, by a hundredth of a second. In short, Francis became the very first Nigerian man in history to win an individual sprint medal, and he won it competing for his new national colours of Portugal! Make no mistake, this is a tragic tale for Nigeria, a stark example of how over the years we have contrived to waste away our immense potential to dominate Track and Field, not just on the African continent, but globally! Probably just as well, because Francis’ 100m silver medal ended up going a country that could really appreciate what winning an Olympic medal in sprinting meant to them, after all it was the first and only Olympic medal in the sprints that Portugal has ever won! Can you believe that on the day of the race, the President of Portugal gave the whole country a day off to watch Francis run in the final? A whole day off – just to watch a 10 second race? And after winning the silver medal, a private jet, along with the armed forces were sent to take him directly back to Portugal, where crowds of people waited at the airport to cheer his triumphant return? Wow…I want to be Portuguese too! I haven’t even spoken much about our very eventful trip to meet him in Portugal last month, so I’ll leave you with some pictures which hopefully convey what a great time we had meeting him and getting to spend some time with him and the rest of the Portuguese national Track and Field team – Enjoy! Yohan, Shelly-Ann and Asafa at Champs!!! The championship itself was like something any of us had ever experienced before – on the last day of the 5-day annual meet, Jamaica’s national stadium of capacity 25,000 is completely sold out – to watch school kids run! 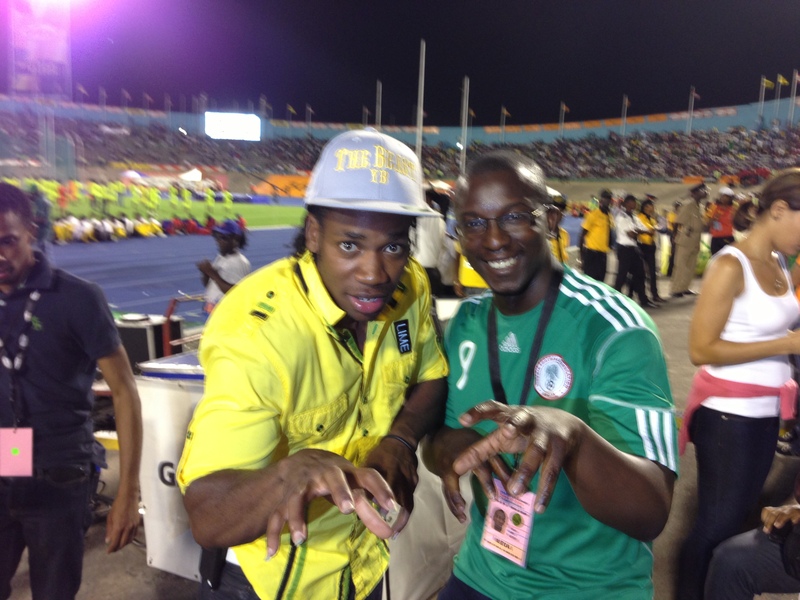 We caught up with Yohan Blake, Shelly-Ann Fraser-Pryce and Asafa Powell in the final days of CHAMPS! To find out what we asked them and what they said, see our very first documentary trailer here – Enjoy!